I wait several long minutes before I'm willing to admit to Tim that I've just inadvertently spent $5.52 on two apples. We're in Alaska and most things, especially food, come a long way to get here and I'm clearly a spoiled Bay Area grocery shopper. Earlier in the month when we'd only been here a few days we met a man named Jim who listed off all the eateries we could enjoy while in McCarthy, Alaska. They were all good places to eat he confirmed but as for Jim well, he's not much for spending his money on "OPF" (other people's food). It wasn't until I contemplated a $2.76 apple for me to understand that all food in Alaska is OPF unless you hunt, fish, trap, grow or harvest it yourself. And they do! Of course there are hunters, fishers and harvesters in the lower 48 but up here subsistence is your other job. It's not that I wasn't already familiar with the understanding that the place shapes the people, I take great pride in being a born and raised Californian, it's just that I didn't have the forethought to know just how much this trip would outline that so clearly for me. I've made a point to write about the ecology of the places we've had the chance to visit but I just can't write about Alaska without acknowledging the people and how the land and sea of Alaska so clearly shapes their lives. Within an hour of being in Alaska the word subsistence came up. Whether you are a descendant of over 10,000 years of finely tuned experience, of old Russian communities, a descendant of a homesteader, a pioneer, a gold rush miner or came into the country to heal after war, get away from it all, “live off the land”, find freedom, make a living from oil, flying, fishing, tourism or whatever else brought one up here you will be either directly or indirectly be affected by “subsistence”. Never have I been anywhere where this was such an obvious need. From a personal perspective it puts me in a awkward place. I don't hunt and don't think I could do it. However, I have great respect for those that do so in order to feed their families. I don't have a lot of respect for those that just want to hang a big head over their fire place and pat themselves on the back. 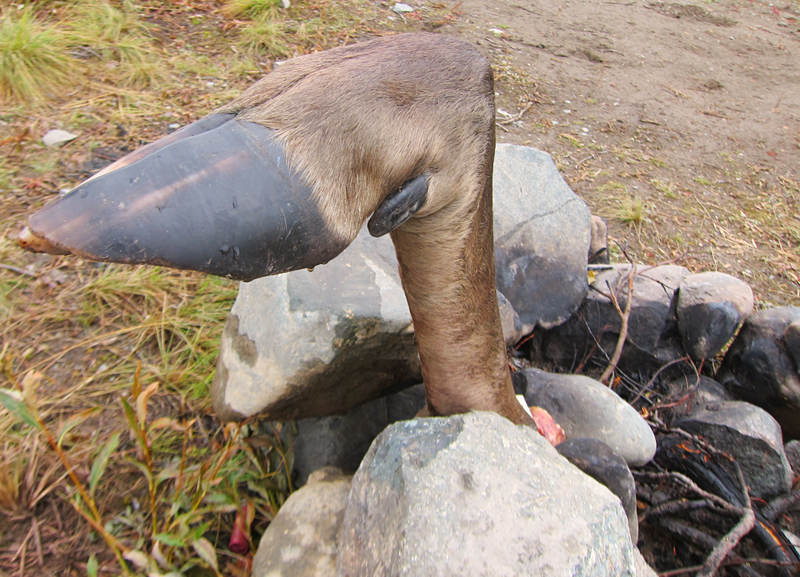 When driving down the Denali Highway we pull over at a roadside camp site that has a moose leg sticking up out of the fire ring. I took pictures and even pet the leg though the experience leaves me with a weird feeling. An hour or so later while picking blueberries some Native Alaskan men trot by with packs on in order to cut up and carry a moose that one had shot earlier. This will feed a couple of families over winter. This seems good. Further down the road we see a moose in the distance eating. I try not to think of him being dinner. In Denali National Park we watch a movie at the visitor center. 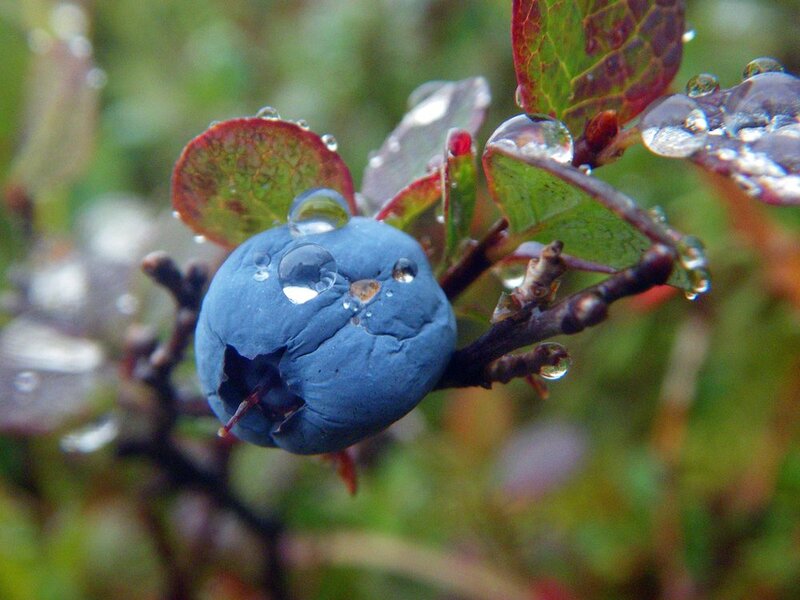 An older Native woman filmed with her grandchildren picking blueberries and she says that you must not waste the berries because the animals eat the berries too and it will upset them if you waste their food. I make note to eat all of our two pints of blueberries. We're in Alaska for two more weeks at this point and the last thing I need is an upset grizzly bear. Alaska is a really big place. Most of what we have seen is accessible by car. So my take away of the people is limited to our limited experiences over the last month. But it didn't matter if we were talking to a man from Tok working the road construction while waiting for the pilot car or if we were talking to Chris at the O'Reilly auto parts in Homer, the young woman in the Native Cultural Center in Copper Center, the man at the Native Heritage Museum or the rangers at the Slana ranger station hunting, fishing or harvesting came up. It's on the forefront of their minds. It's how they spend their weekends or even their evenings staying up late in order to get all the salmon canned. It's the waiting period before their hunting season opens and the moose they've had their eye on, the spot where they noticed the plump berries. It is that which is “written on the people's tongues”.